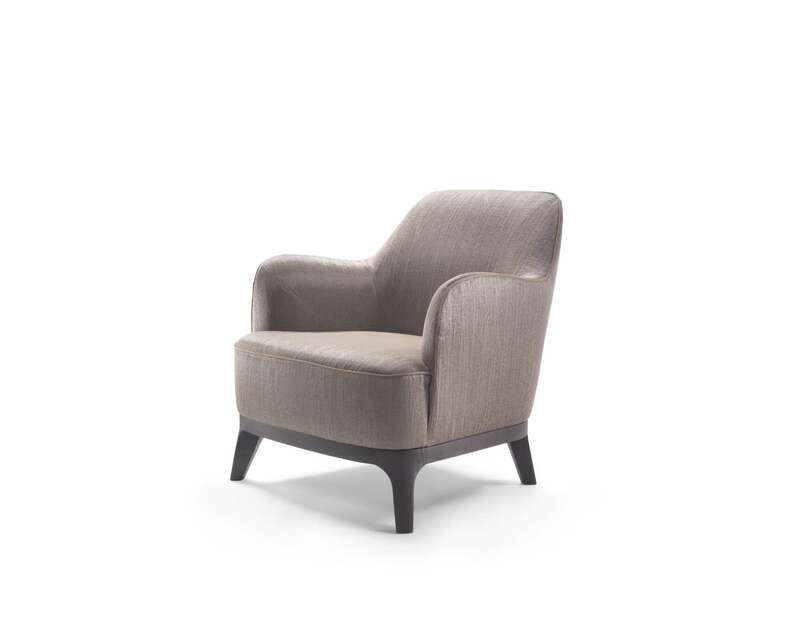 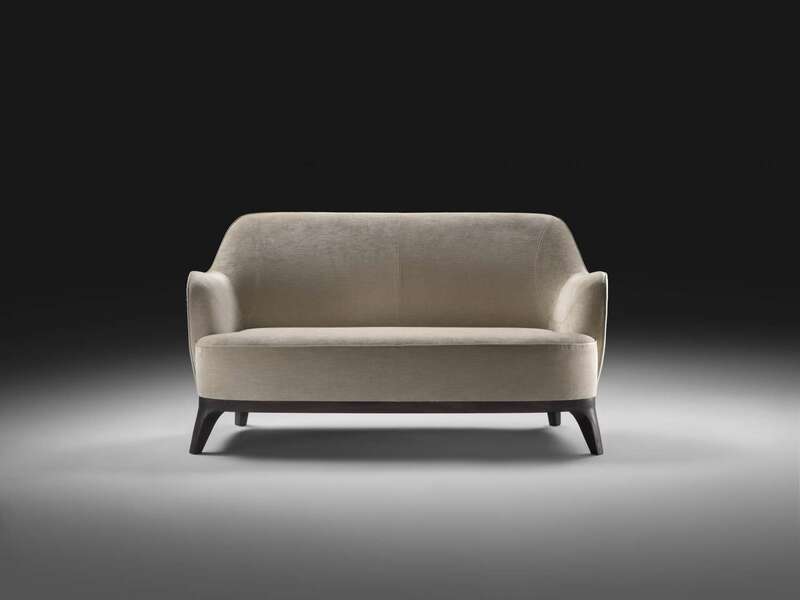 A collection composed of a minute linear settee and an armchair with a rounded, decidedly curvy look. 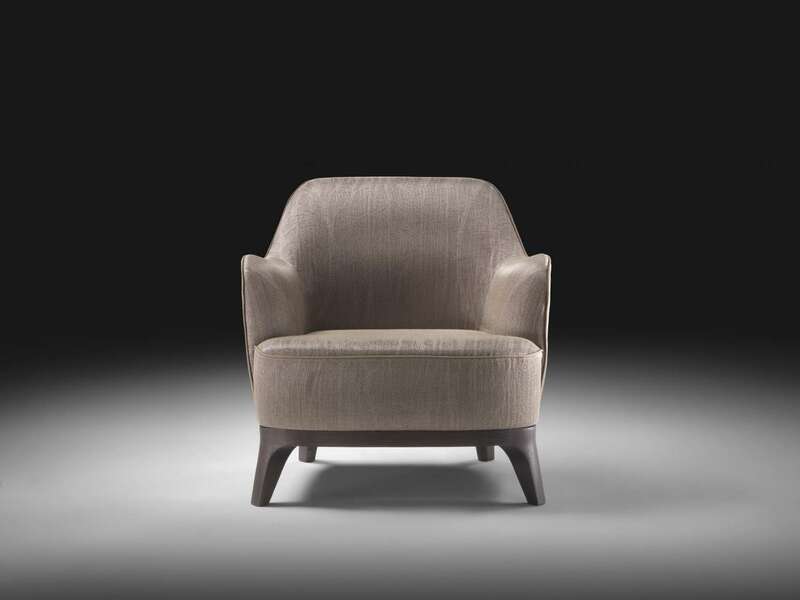 Both rest on a solid wood structure of short legs, with substantial and uniform padding for the back, seat and armrests. 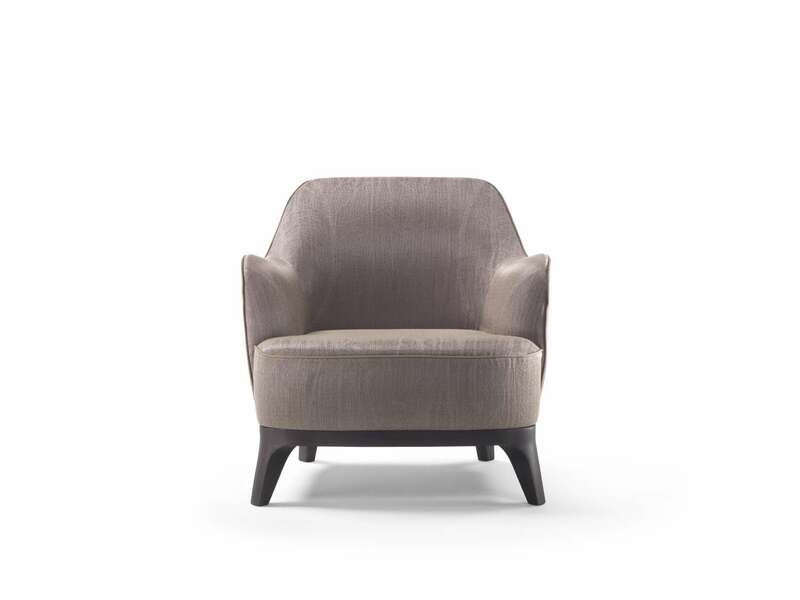 A product that takes on character thanks to the grosgrain finish of the contrasting cover. 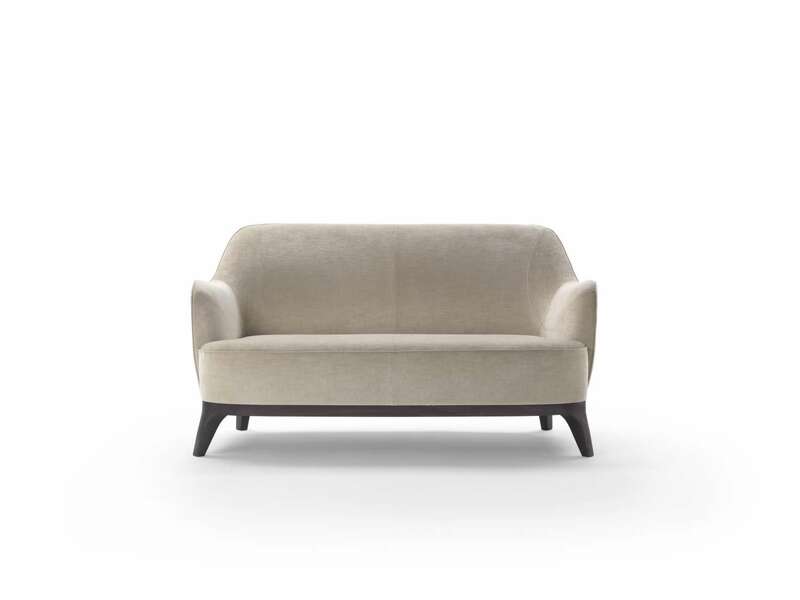 Pieces that are easy to combine with a large sofa, or to imagine in multiple configurations for a waiting area or a lounge.